Well, its been a productive weekend for me! I’ve been working on deep cleaning the house while simultaneously doing some furniture refinishing. So, needless to say I am pooped. This weekend has been tough on me, but I did manage to take a break to share my DIY Facial Moisturizer recipe! 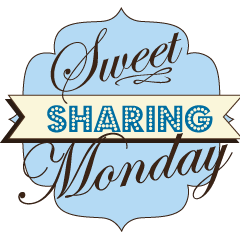 Anyhoo, its the one year anniversary of Sweet Sharing Monday!! I’m so glad for all of the lovely bloggers who have been stopping by to share and visit others’ creations. I hoped this would be an avenue for use to share and grow and I feel like it has! Thanks! This tutorial makes that lovely ledge look so easy!! 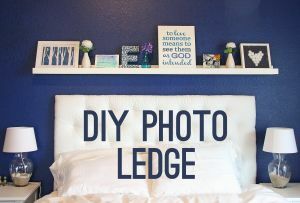 Julia used just a few pieces of wood and some elbow grease to make and mount that lovely picture ledge. I’ve seen things like this for sale elsewhere, and the big ones are pricey! I think the DIY option is much better. Pinned! Okay, okay I know what you’re thinking. I’m featuring ANOTHER cheese cake recipe. But listen- I had no choice!! You see, Christina tells a story of her husband’s idea of “real” cheesecake. She says its not baked, but its not anything she’d seen before. And you know what? That’s the EXACT Cheese cake that MY HUSBAND considers to be the only REAL cheese cake. How funny right? Its the way my Mother in law always made it, so to him its the end all. Thing is- I don’t like it in a big slice. 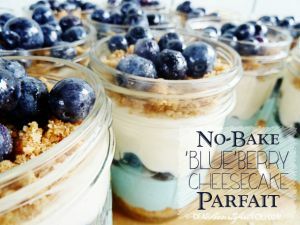 But, I’m thinking these adorable parfaits are going to be just the thing to satisfy us both! I’m so geeked! Thank you for letting me join in your party. Loved that ledge you featured. Thank you for hosting! Thanks so much for having me today. Hope you have a wonderful week. PS If you ever feel like adding your party to my Say G’Day Saturday linky please feel free-no need to link back! Natasha in Oz recently posted..#SayGdaySaturday Linky Party ~ Sharing some Pretty Little Things! meh I never get tired of cheesecake features and this one looks so good! Thanks for the party, Kayla. Have a wonderful week! Thank you for the sweet party, Kayla! Kayla, thanks so much for hosting such a fun link party. It’s Man Approved Monday over at Man Approved Diet. Please stop by and bring a dish to share. 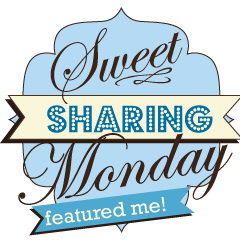 While you’re there you can check out this week’s featured recipe and see what’s being shared this week! Thanks for hosting, and congratulations on your one year anniversary!